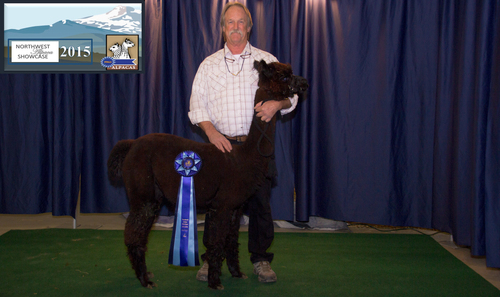 Greener Pastures Kane is a shining example of alpaca breeeding at its best. 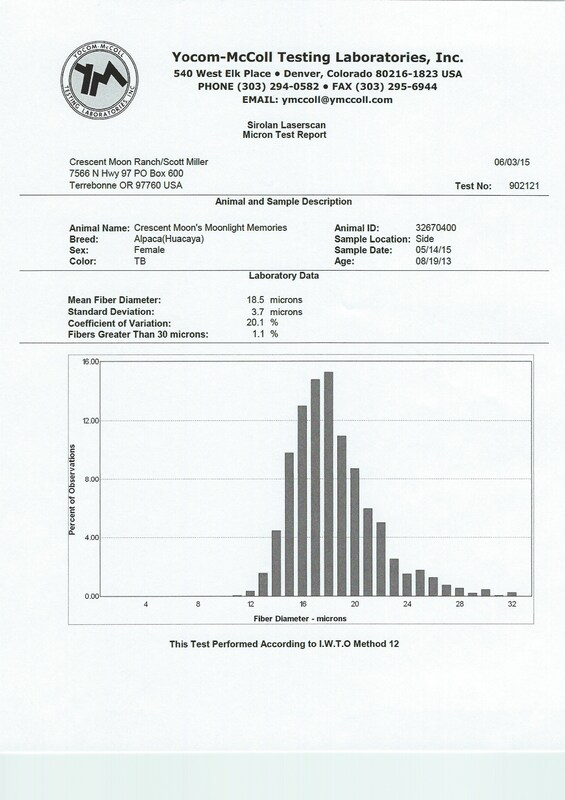 Placed at the top of his class by judges all over the country, this outstanding male has the undeniable potential to improve any breeding program. 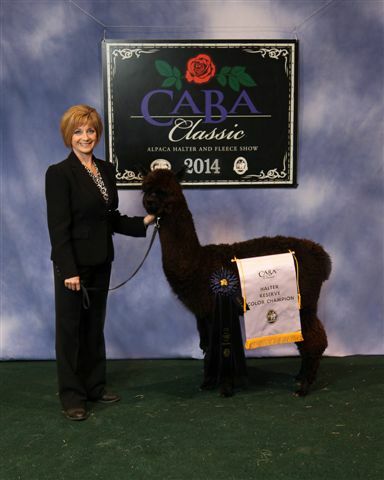 With rock-solid genetics including Kirwin, Legacy, Elite, Royal Fawn, Danko and Rayo Del Sol, it's no wonder Kane exhibits all the qualities we strive for as alpaca breeders--supreme density, exquisite fineness, strong bone, gentle disposition and pleasing phenotype.? Kane's offspring are showing amazing potential as well, His daughter, Black Diamond, was the highest selling alpaca at the 2015 Amber Autumn Invitational, selling for $20,000. We weren't surprised as this girl is stunning, but it made us all the more proud of Kane and confident in his ability to produce offspring that will move our industry forward. Crescent Moon’s Moonbeam has produced a daughter who we have named Crescent Moon’s Moonlight Memories. Moonbeam is the daughter of our Cressie who has been deceased for some years now. Cressie was the name sake of Crescent Moon and Moonbeam has carried her mom’s torch with distinction. 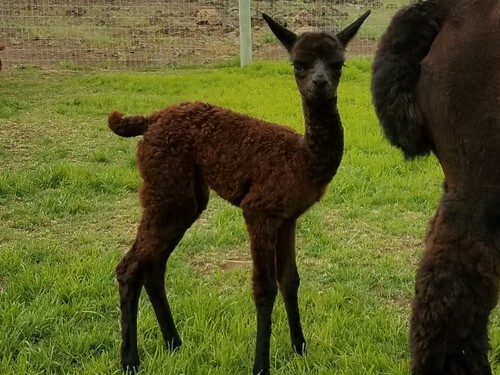 Moonlight Memories is the maternal sibling to one of the high sellers at the first Priority Sale named Crescent Moon’s Moonlytroses who was purchased by the good folks at Flying Pony Alpacas. 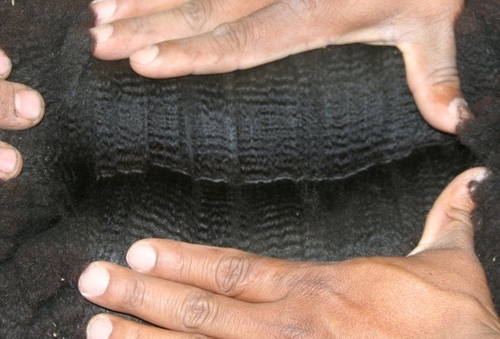 Moonlight Memories is a really pleasing true black female. She displays really good density and brightness in a fleece that is uniformed in micron, length, color and architecture. And the handle…..oh what a handle! It is slick! 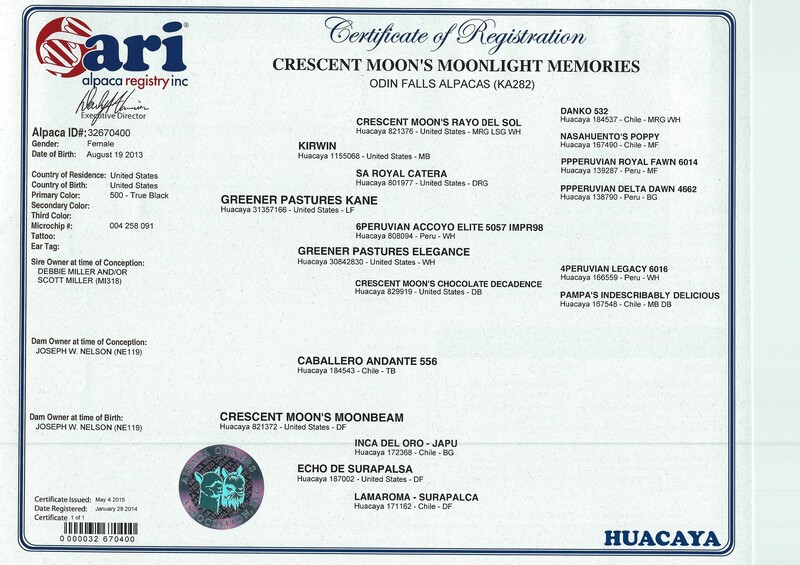 Moonlight Memories was bred to Crescent Moon's Thelonius. 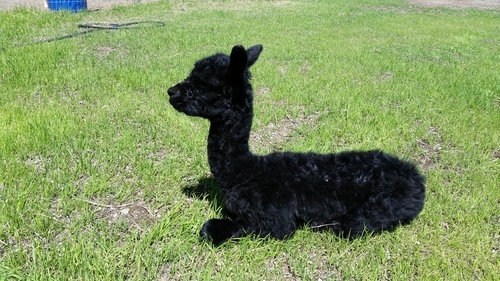 Can't wait to see that Cria!!! 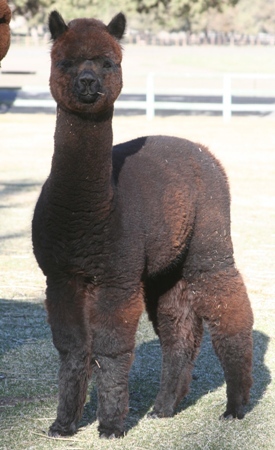 UPDATE: Moonlight Memories just had her first cria 5/29/16, a beautiful little girl looking like a True Black. It's that Blueish Black color that we were hoping for. Her name is "Odin's Black Ecstacy". UPDATE: Moonlight had her second cria on 6/2/17, another beautiful little girl. This little beauty came in at 17 lbs. sporting a Medium Brown blanket with a Dark Brown head and legs. 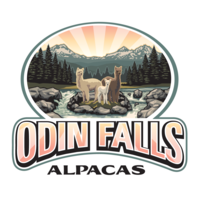 Odin's Brown Sugar seems to have it all, time will tell.